Phnom Penh, Cambodia – A new book, released today by WWF and The New York Botanical Garden, provides the most up-to-date, comprehensive catalogue of 65 rattan species found in Cambodia, Laos, and Vietnam – two of which are new species endemic to Cambodia. Systematics, Ecology and Management of Rattans in Cambodia, Laos, and Vietnam – The Biological Bases of Sustainable Use is the result of eight years of research and includes a review of management protocols that are guiding sustainable management and use of rattans across the three countries. Rattan is one of the most important non-timber forest products in the Greater Mekong as various species support local livelihoods as food, material for shelters, and products with export value. However, forest conversion and unsustainable harvesting are leading to serious declines in rattan stocks, threatening the potential growth and sustainability of the region’s rattan industry. The book, which is available in English, Khmer, Vietnamese and Lao language versions, aims to help both naturalists and those in the rattan industry in identifying rattan species, while providing guidance in maximizing yields and achieving sustainable production of rattan resources. The book also shares lessons learnt from sustainable management planning to processing and export policies. Joining Dr. Peters as co-author is Andrew J. Henderson, Ph.D., Abess Curator of Palms at the Botanical Garden, a leading authority on the systematics, taxonomy and biology of palms, which include rattans. As part of his field research on this project, he discovered and named the two Cambodian rattan species new to science. 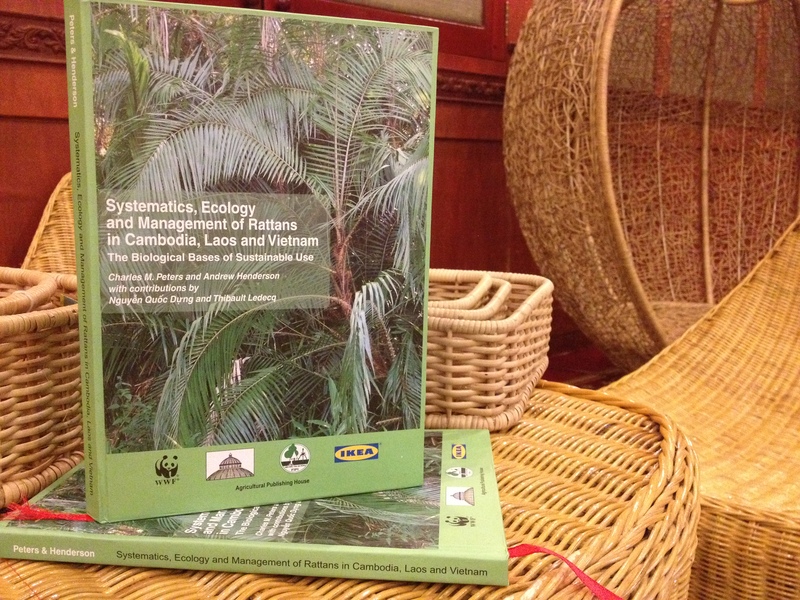 The book is the result of a collaboration between The New York Botanical Garden and WWF-Greater Mekong, together with relevant government and development partners. This collaboration has resulted in the world’s first FSC-certified rattan products in Laos and has facilitated the establishment of the Rattan Association of Cambodia and the Vietnam Rattan Programme – important mechanisms for ensuring that producers also secure benefits from the growing demand for sustainable rattan products. WWF and our partner’s achievements in supporting the development of a sustainable rattan industry in Vietnam, Laos and Cambodia, and the new rattan book, were made possible thanks to the financial support from IKEA, the European Commission’s SWITCH-Asia Programme, and DEG - Germany’s Entrepreneurial Development Cooperation.